County Galway in the West of Ireland, Galway City is friendly and vibrant and the rugged landscapes of Connemara wonderfully wild and beautiful. The Connemara landscape has rivers, lakes, woodlands, hills, mountains and a stunning coastline of sandy beaches and blue waters. 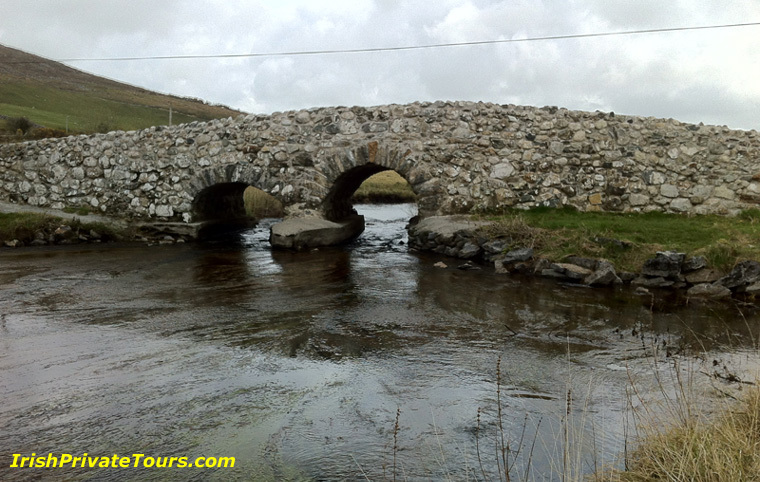 The “Quiet Man Bridge” outside Oughterard, Co. Galway. The bridge featured in the film The Quiet Man, shot in the area in 1951. It is the bridge where Sean Thornton (John Wayne) dreams of his youth in the opening scenes. Maureen O'Hara and Barry Fitzgerald also starred in the film.